Time for the Osterley Park 10K! The Osterley Park 10K was held last Saturday. I was really nervous as I had very smartly signed up for two 10K runs that weekend and I really wasn't sure if I could manage two. The day itself started alright, rain was on the programme, but hopefully that would hold off for a while, and the race was only about 30 mins travel away so if I could survive today with energy for tomorrow, this would be a wonderful race. Only hickup, no head phones allowed. The City Mile didn't allow headphones but that was only a mile. The last time I ran 10K without headphones was at the half marathon and I wasn't doing too well with that (although that could have something to do with the terribly weather and severe knee pain at the time). To continue to busy running month of June, I ran the Amba City Mile on 13 June. It's a fairly new race and only in it's second year. It's free to enter and only a mile. Last year this was my first run after my injury so it was the perfect distance. This year it was one of many runs in June and even though it was short, I was a little concerned about the time I would put down. This definitely had something to do with the weather as it was cold and rainy. And it's June! At least this year I wasn't in the last group :) That totally cheered me up already. There is nothing wrong with being in the last group of course, being in an earlier one just means I must be getting a bit faster and I'll take that anytime. My wave was at 10.40 so I headed off to the starting point just outside St. Pauls. I told you I had some fun runs lined up as well? It was time for the Colour Run earlier this month, the first run of June which turned out to have a LOT of runs. The weather was perfect again (shock!) and it was actually great fun! I was so glad I had changed my tshirt for this event, it was much more comfortable that way and still covered enough not to have too much colour everywhere. Lining up near the start line, it was really busy! Nearly time to start the run! I was all set in white, ready to be coloured up. 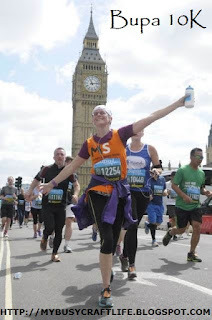 After I had completed the Hyde Park 5K, I was confident in running the Bupa 10K the next week. It was to be run during the bank holiday and I'd signed up for it a while back, you have to plan most of these as they sell out so fast! Just image, a few years back I would have never run, let alone on a bank holiday when you can actually sleep in! The Bupa 10K is one of few runs where you can run along the Mall, and I always wanted to do that :) Since I didn't get into the London Marathon (and probably a good thing that I didn't! ), this was my chance. So with the recent injury free 5K under my belt, I was ready to go. Charity shirt on (I finally remembered to wear it now that it has been improved! ), let's do this! We arrived well on time, the weather was beyond perfect. So far so good! 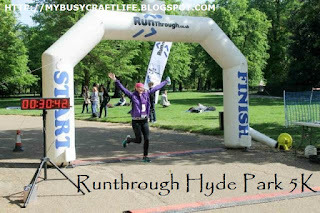 I ran this 5K in Hyde Park on 17 May. A friend of mine was visiting London and she had booked a flight home at 7am on Sunday morning, which meant having either getting up super early, or going to bed really late. I chose the latter so was in bed at around 2am I think. With a run looming at 9am the next day, that is quite late let me tell you. I went anyway, and just look at the lovely weather we had :) It was the first run in the sun of the year! It was REALLY sunny! I kept my jacket as it was still a bit windy, but just not having any rain was so nice! It's not technically upcycling as these are not in fact old or broken so I think it's more 'beautification'. I've been doing a LOT of runs recently (more on that later), and you know how some of them give you a shirt well in advance to wear for the event? 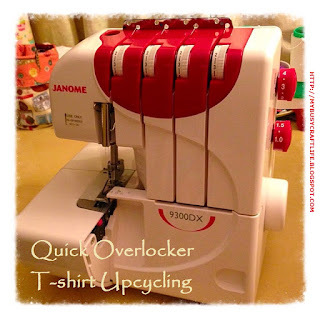 I usually leave it too late to make changed, but this time I really wanted to make an effort with one of the shirts. Another one I wanted to amend was my standard MS Society tshirt, that I try to wear when I don't have an event shirt to wear. I really had to change it as the only reason I didn't wear it at the half marathon was because it was just too heavy and annoying for such a distance.